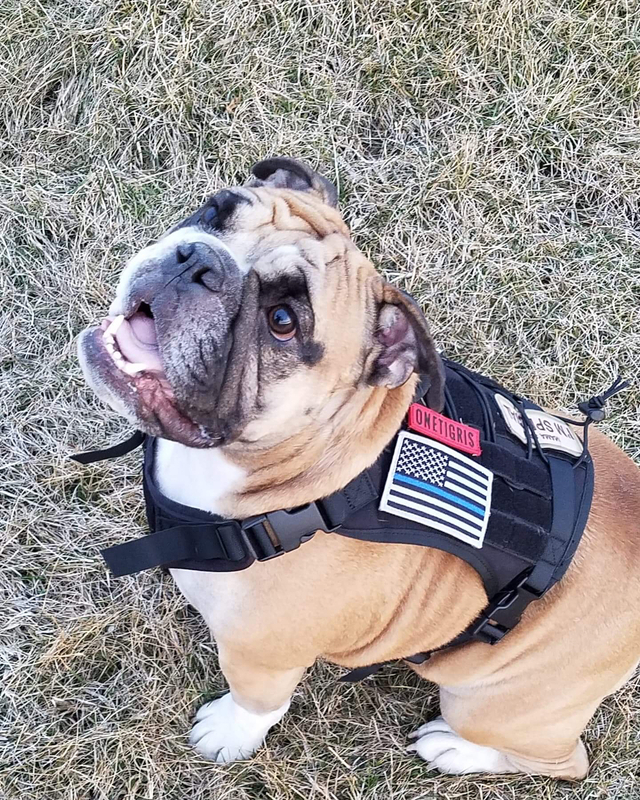 Perfect for heavy outdoor use. 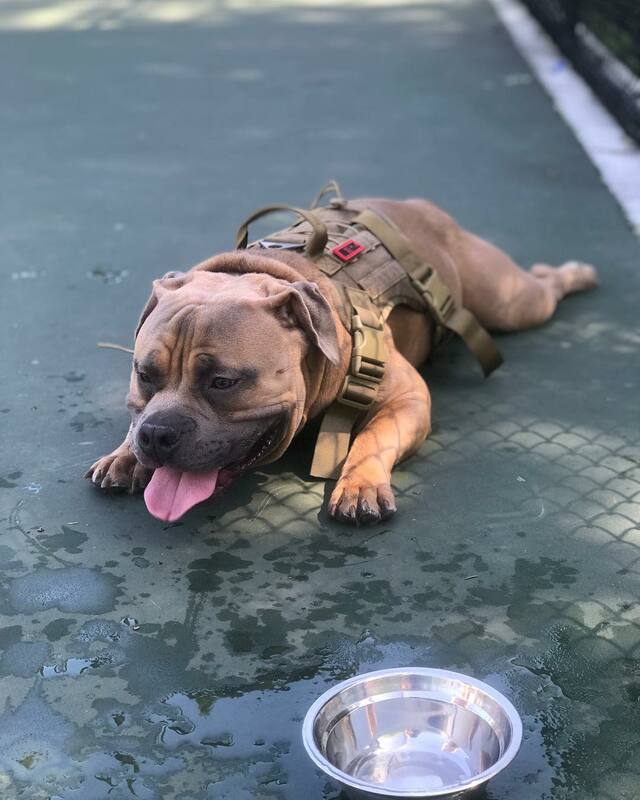 Durable, versatile harness features a heavy-duty nylon shell and soft interior padding for lightweight, water-resistant comfort. Built for maximum storage and versatility. 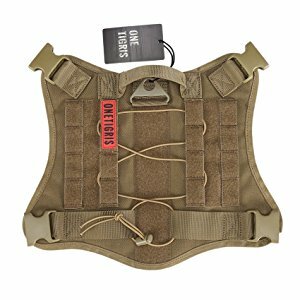 Convenient MOLLE webbing along both sides of the harness accepts a wide variety of molle pouches to carry gear and supplies. 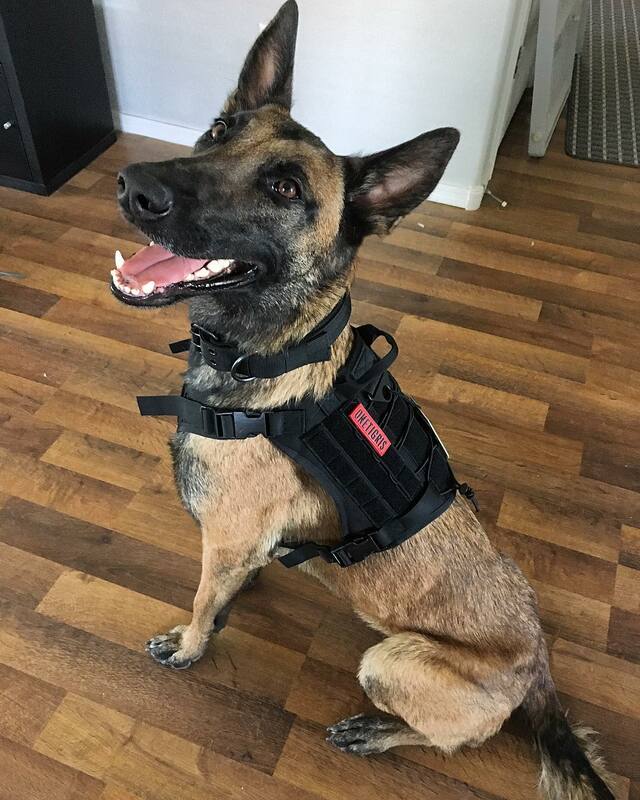 Also features a control loop at the front to bring her in close when needed, as well as a crisscross bungee strap for holding water bottles or umbrellas. Designed for comfort and breathability. 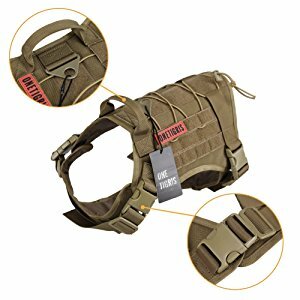 Fully adjustable neck and chest straps provide a snug, secure fit; an extra-strong V-ring leash attachment provides added security. Customizable to make it your own. 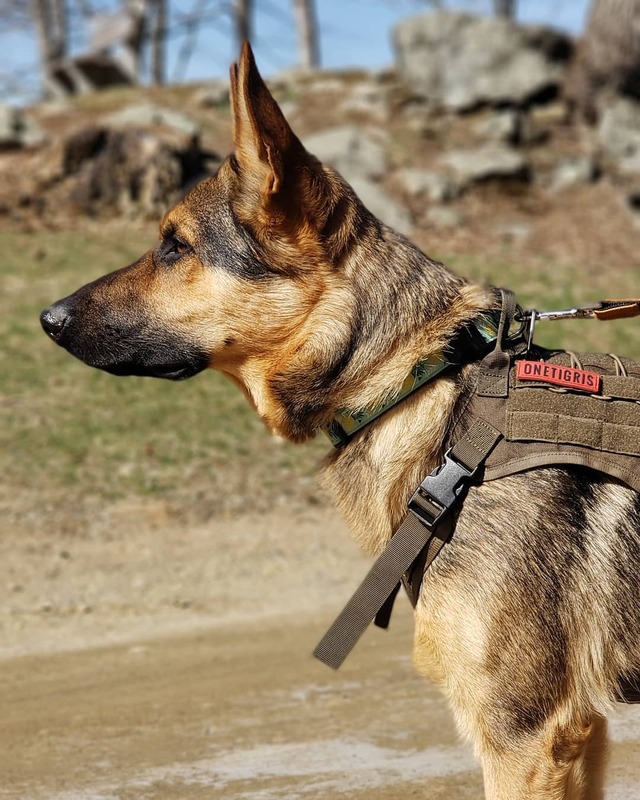 Customize the harness to fit your dog’s style and personality with morale patches and badges.